As Fall colours begin to hit the landscape and a chill blows in the breeze I thought I should take a few moments to offer suggestions for indoor activities in Niagara Falls for both a family getaway or couples retreat. 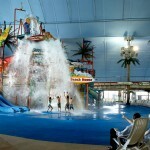 -Experience the attractions, theme restaurants and shops on the Falls Avenue Entertainment Complex. You can start at Hershey and end the day at Rainforest Café without going outside! -Treat yourself to a day of rest and relaxation at the full service Fallsview Christienne Spa which offers a wide variety of spa treatments and services. Niagara Falls is truly a destination that can be enjoyed year round with each season offering a variety of excitement and opportunities that are not to be missed.